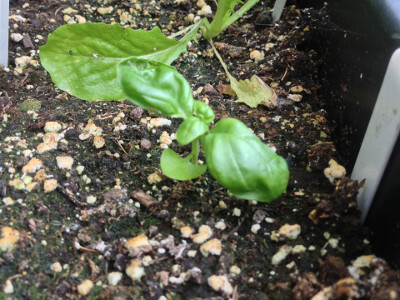 Sweet Genovese basil plant slowly putting on growth, with a bit of slug/snail damage. Sweet Genovese basil plants slowly putting on growth. I will soon prune the growing tips to encourage bushier plants. 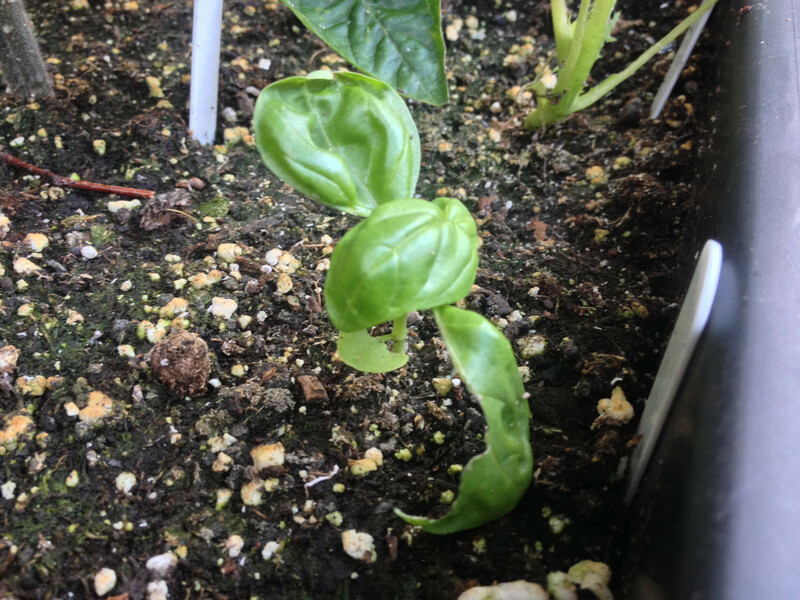 Sweet Genovese basil plant slowly putting on growth. 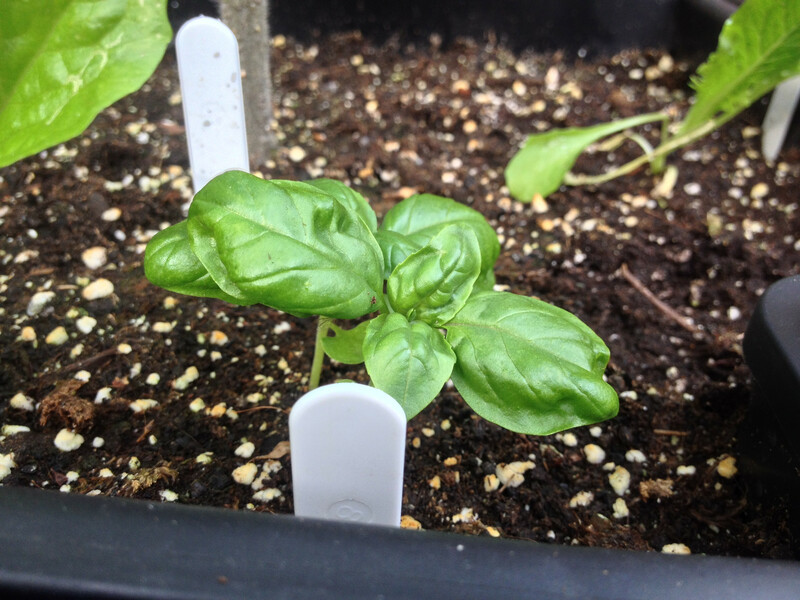 Sweet Genovese basil plants slowly putting on growth. More Sweet Genovese basil seedlings. Sweet Genovese basil seedling slowly growing. 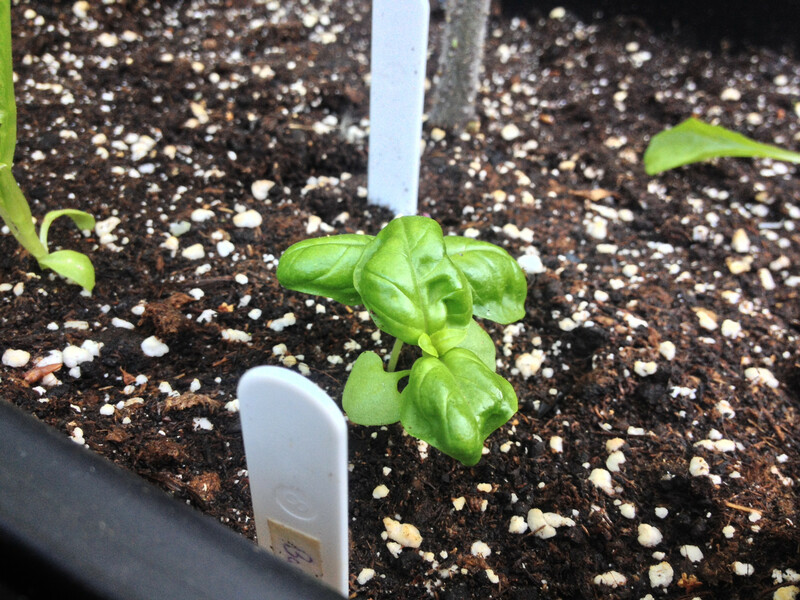 Sweet Genovese basil seedling planted in final position. 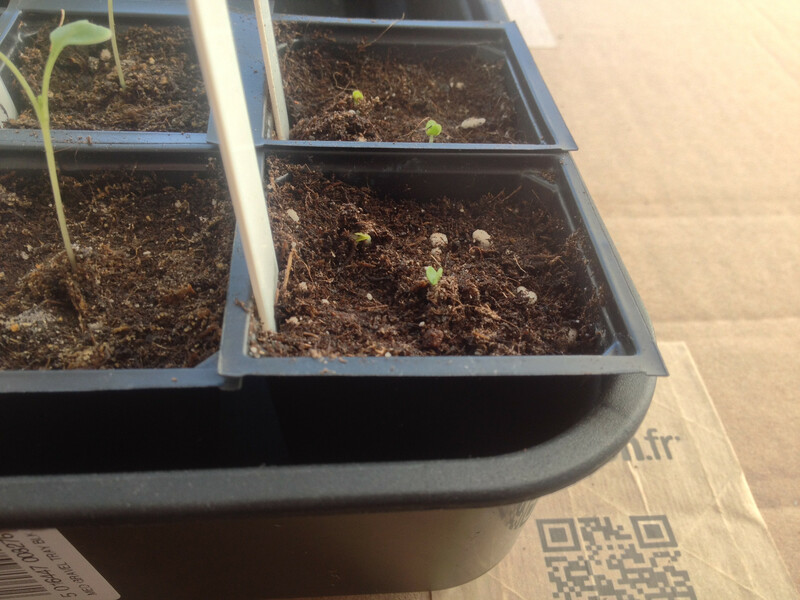 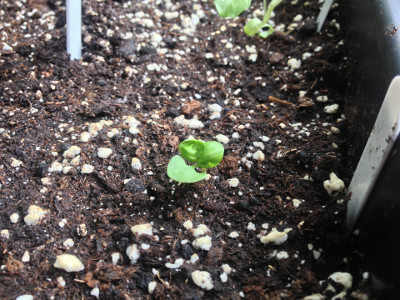 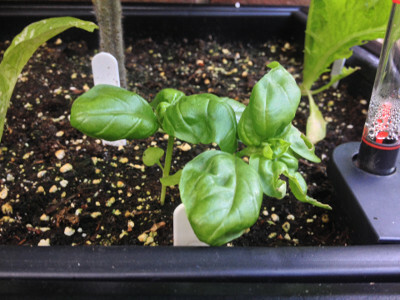 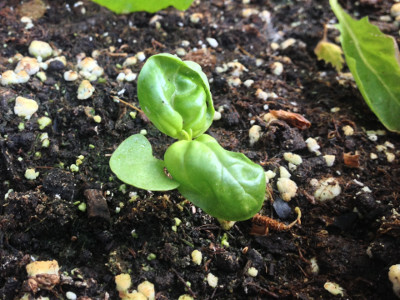 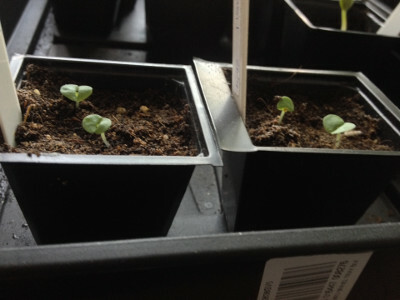 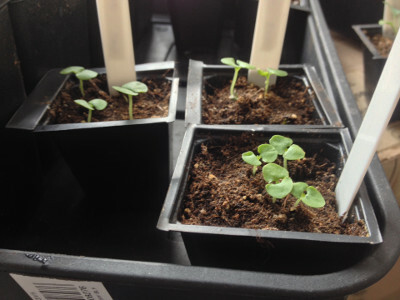 Sweet Genovese basil seedlings with first true leaves. 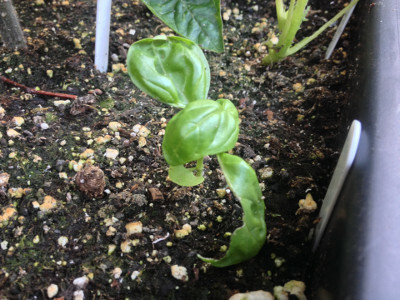 Sweet Genovese basil seedlings with no true leaves. 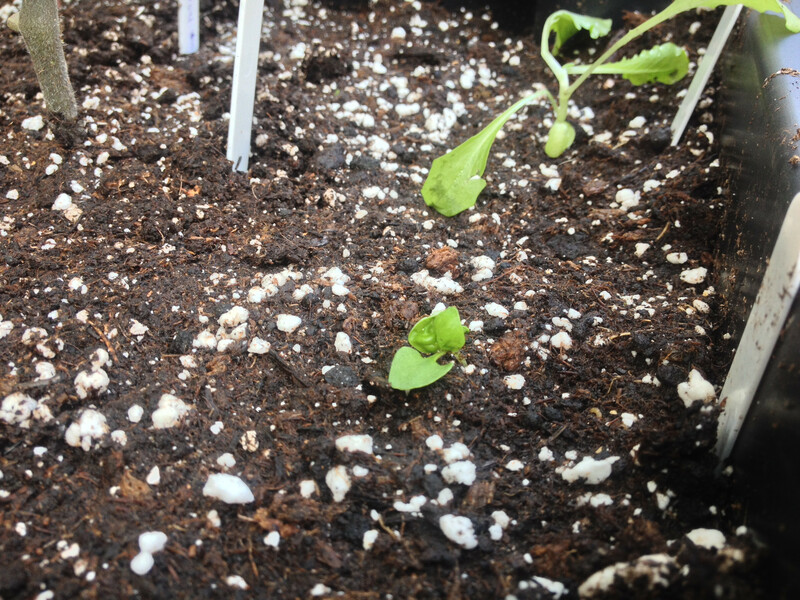 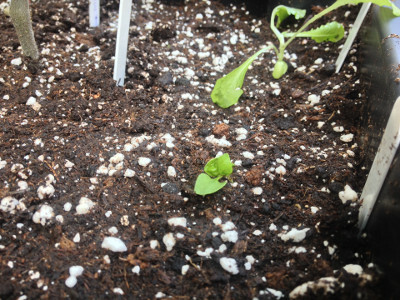 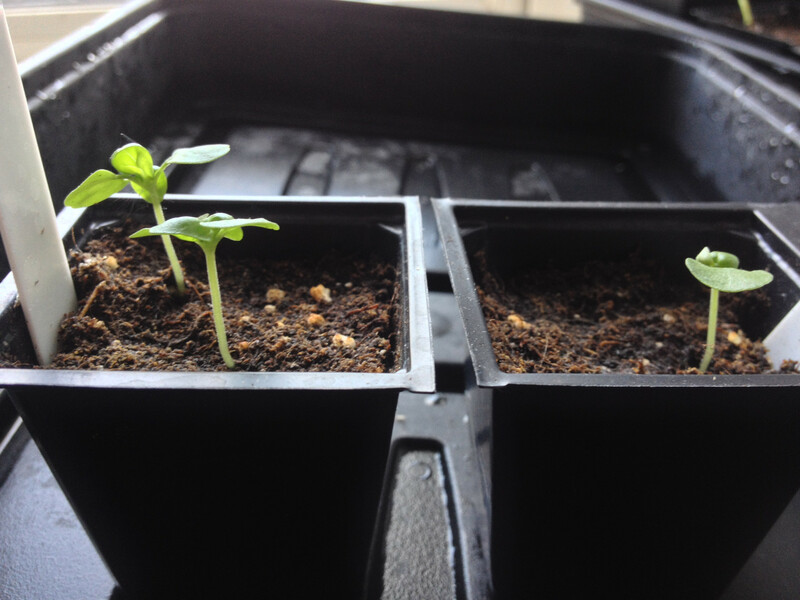 The cotyledons of some Sweet Genovese basil seeds have broken the surface (right cells).